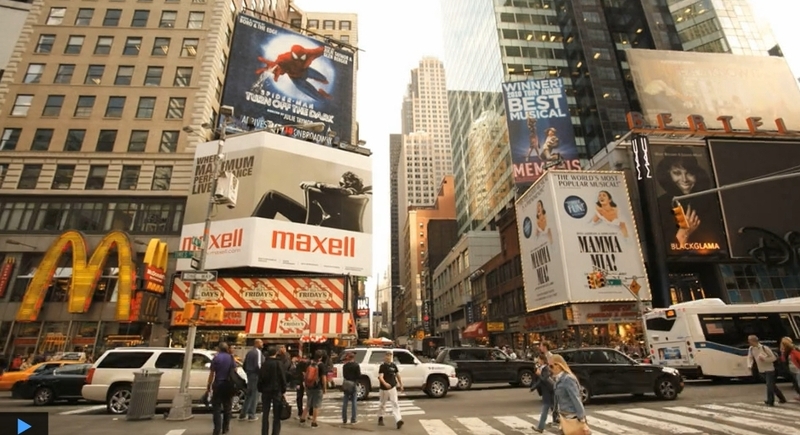 The Barbarian Group, in partnership with Super Size Me creator Morgan Sprulock and creativity tools company Aviary, has created NoAd: New York, an internet-based effort to remove all advertising from New York's Times Square. Spurlock was inspired by Sao Paulo's ban on all outdoor advertising since 2007. He then contacted The Barbarian Group to develop NoAd: New York. Using the tool, all of the ads in Times Square can be edited out. Of course, this has no effect on the real world ads that plaster Times Square and show no signs of disappearing anytime soon. After all, as much as Spurlock tried to convince us fast food is bad for us, have we really seen an reduction at all in the proliferation of McDonald's or Burger King? - The Bees Awards, celebrating successes in international social media, is looking for sponsors for its upcoming awards event.